A “plug and play” HPA Adapter for most GBB magazines! The Balystik HPA Valve Adapter for Tokyo Marui Gas Magazines. 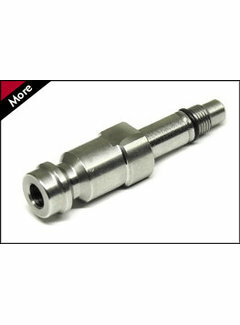 The Balystik HPA Valve Adapter for WE/KJ Gas Magazines. Simply replaces the fillvalve for a HPA connection!